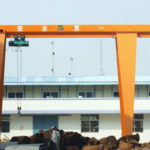 A frame gantry crane, as you may have guessed, comes from the A shape of side profile. It is engineered for the utmost efficiency and safety of lifting work indoors and outdoors. Our A frame gantry cranes can be adapted for light duty to heavy duty services, which are made to suit almost all sorts of applications. 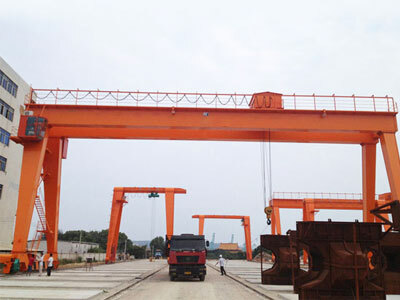 The gantry cranes produced by Dafang company can also be customized to serve your special lifting requirements. 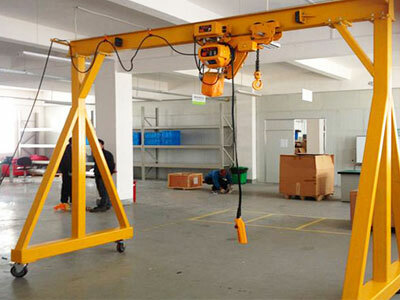 The A frame crane comes in multiple types to serve a number of different projects. 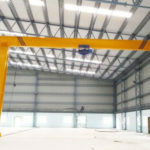 The single beam A frame gantry crane is aimed at lifting light to medium loads, and it can be employed for both indoor and outdoor uses. 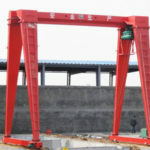 A frame double beam gantry crane is designed with increased strength and large capacity, usually in a range of 5 ton to 320 ton. 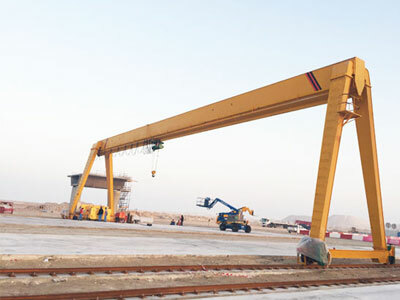 This A-type gantry crane provides higher efficiency and greater lifting speed than the single girder crane. 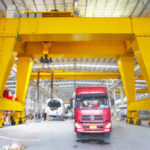 A-frame mobile gantry cranes, also known as portable gantry cranes, are cost-effective and versatile lifting devices since they can be wheeled anywhere you want within the working areas. 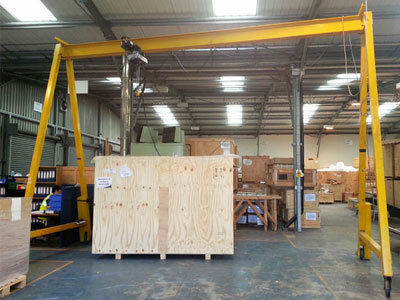 The portable A frame gantry cranes can also be transported from one location or production line to another effortlessly. According to the gantry steel work design, this device comes in two options, fixed gantry crane and adjustable height gantry crane. The free standing structure does not rely on building column supports. Our A frame crane is engineered with multifaceted capabilities for applications, such as maintenance and repair shops, warehouses, assembly lines, manufacturing plants and installation operations. It provides an easy and economical way to lift and transfer materials indoors and outdoors. 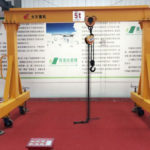 According to the type and weight of load to be handled, the gantry lifting equipment can be fitted with different lifting attachments, such as hook, grab bucket, electromagnetic chuck and carrier beam. Whatever your applications, we will find a cost-effective and highly efficient solution that works well for your goals. To know more, contact our sales manager online! 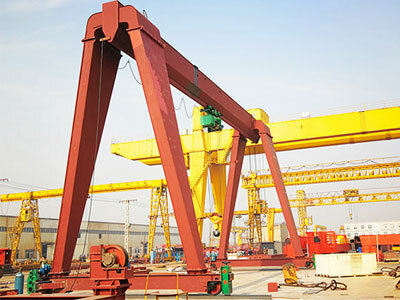 We provide both standard and customized gantry cranes to suit different tasks. A variety of options and accessories are available for you to choose from to ensure you end up with one that is suited to your application. Working environments: indoor, outdoor, explosive, etc. Safety devices: overload limiter, end stops, anti-swaying device, etc. 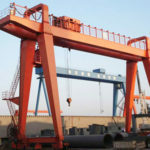 Dafang group is recognized as a trusted gantry crane manufacturer and supplier in China since we provide dependable services for clients, encompassing design, manufacturing, delivery, installation, commissioning and maintenance as required. 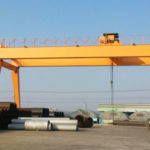 When it comes to the gantry crane design, it will cover every aspect of the equipment from the size and capacity down to the paint color. With our excellent technical team, we are capable of designing the most powerful and affordable solutions according to customer’s requirements. 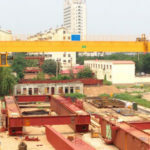 Our A frame gantry cranes are made to order. To receive a free quotation, call us now or send us an email.